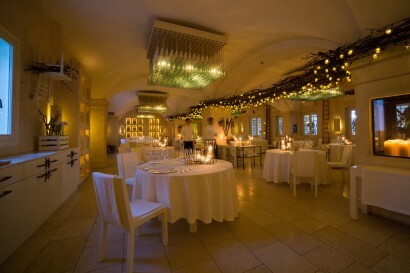 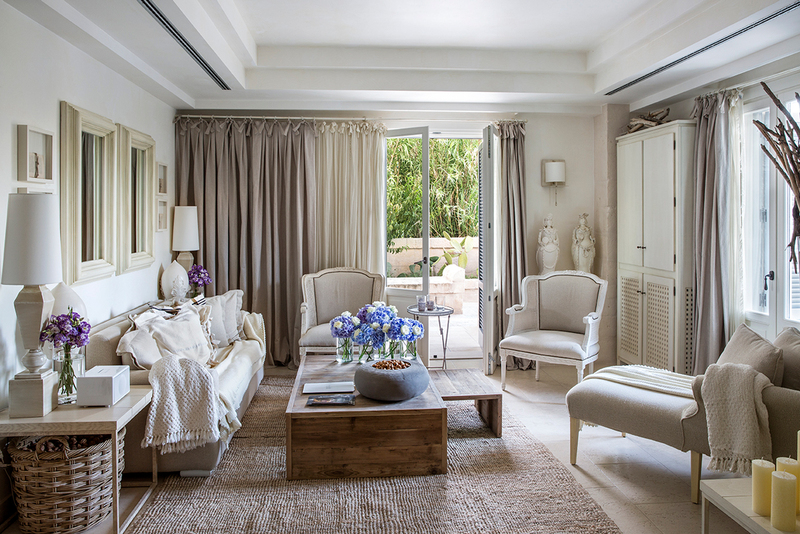 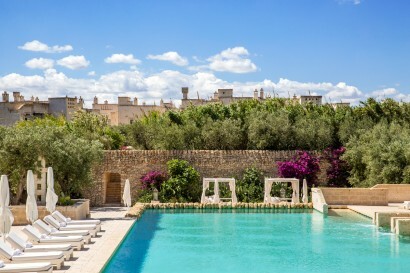 “To provide our guests with an experience that can’t be enjoyed anywhere else and is based on local authenticity, spirit and beauty”: this vision has allowed the Melpignano family to help transform Puglia into one of the most sought-after and beloved destinations across the world, starting in 1996 with Masseria San Domenico, originally the family’s private vacation home. Today, Borgo Egnazia is the biggest property of the San Domenico Hotels group. Local Adviser : We strongly believe the richness and depth of Puglia can only be effectively presented by Apulian people. 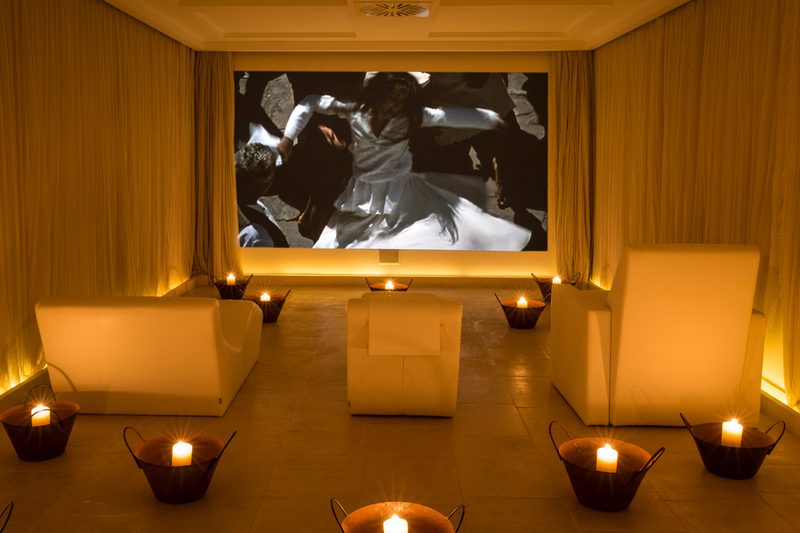 Always at your side during your stay at the Borgo, a Local Adviser is a kind of special “local friend” who knows and loves the place and grows an empathic relationship with you, opening closed doors, telling unheard tales, arranging the unexpected, anticipating and fulfilling your wish or curiosity, whether it’s places or exhibits to visit, “off-map” tips, folk traditions and customized experiences. 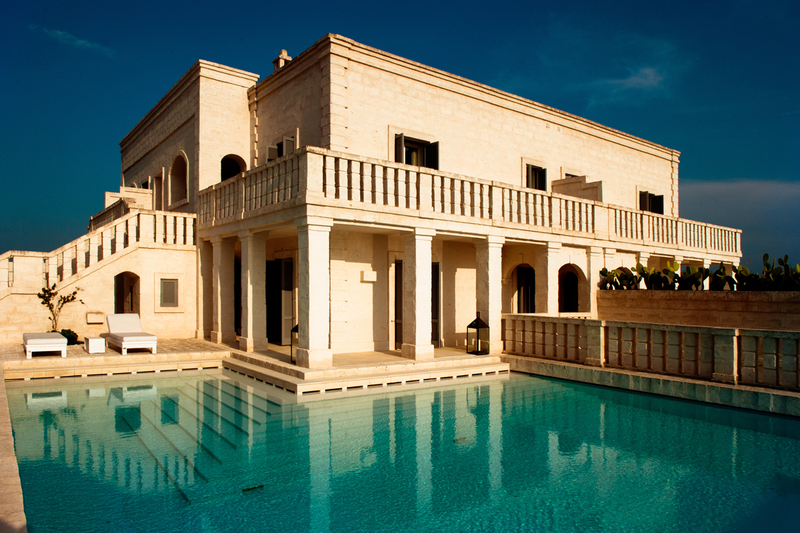 Discovering Puglia is the beginning of a true experience of love. 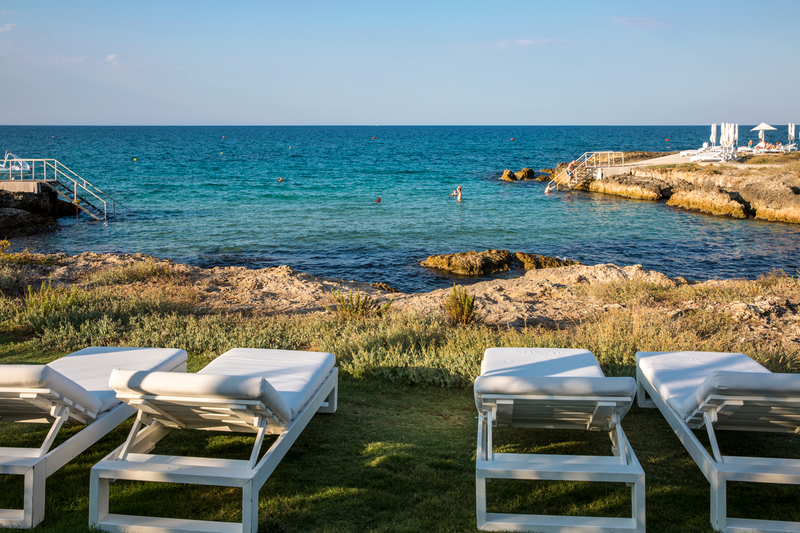 During the relatively mild fall and winter seasons, a vast choice of produce from the ground, beautiful colours, unique village festivals and ancient traditions is guaranteed, while spring and summer literally make Puglia bloom and burst with events, beach parties and shows. 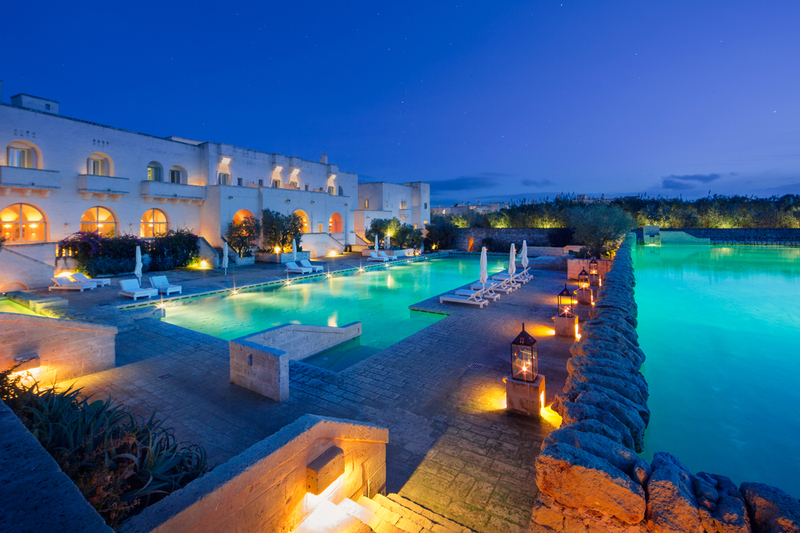 This region is really rich in architectural beauty, from the amazing towns of the Itria Valley (the breath taking “cummerse” houses in Locorotondo or Ostuni, the “White Town”) to the small seafront village of Polignano and Monopoli, and the marvels of the Salento area (the Baroque buildings in Lecce, also known as “the Florence of Southern Italy”, and the measured elegance of Otranto, the easternmost city on the Italian peninsula). 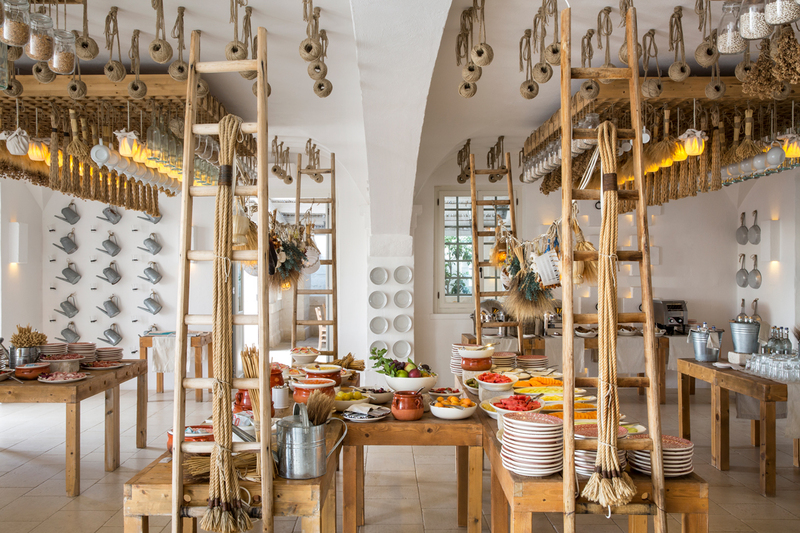 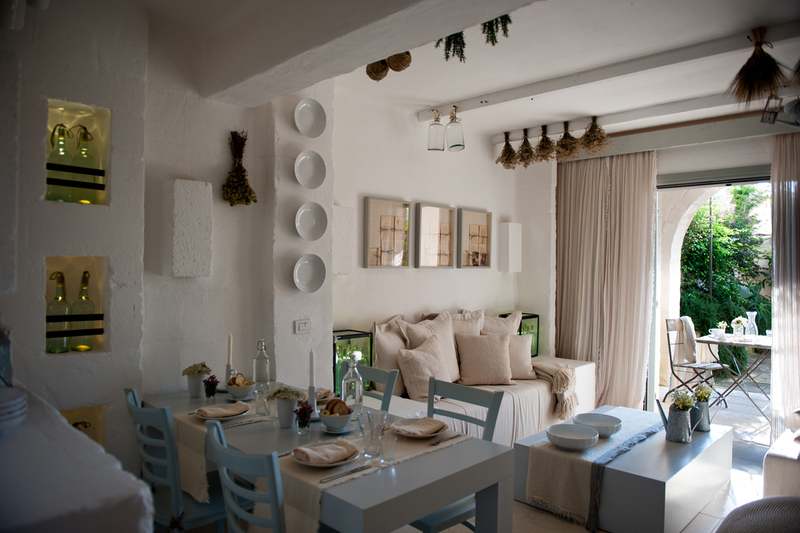 Pescheria da Vito: a seafront culinary corner, located at our private beach Cala Masciola, Il Cortile: a pleasant open-air space focusing on “live” cooking and fresh local raw materials. 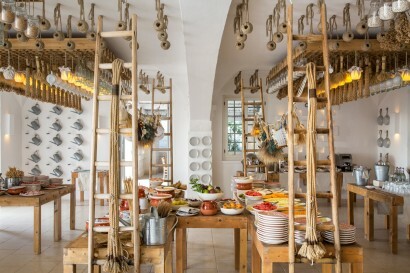 Da Puccetta: a magic and otherworldly place for our younger guests, Bar del Portico: a perfect lounge adorned with glass jars filled with dried pulses and cinnamon sticks, offering cocktails, such as the home special Ramato, apéritifs, a refined selection of wines and light snacks. 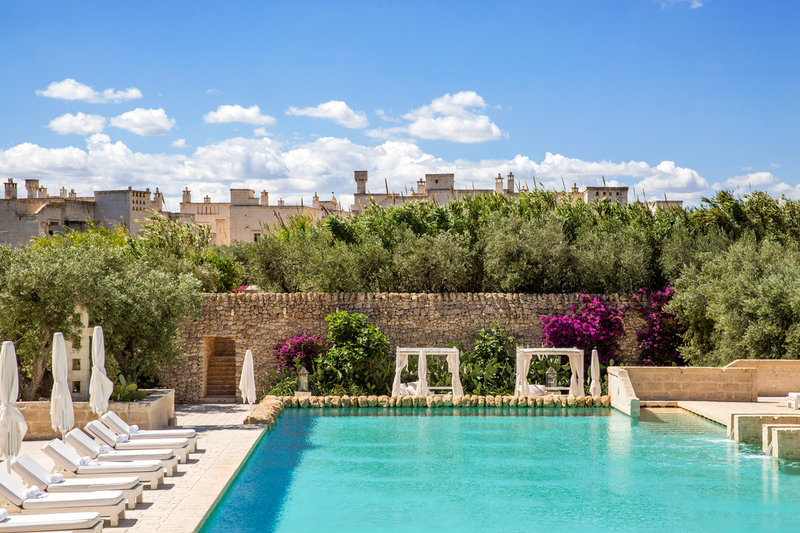 Other pleasant areas for chilled refreshments are available across the property: the open-air Capanno Bar by the main pool, L’Angoletto Bar by the Family Pool area and Caffe della Piazzetta in the grand Piazza. 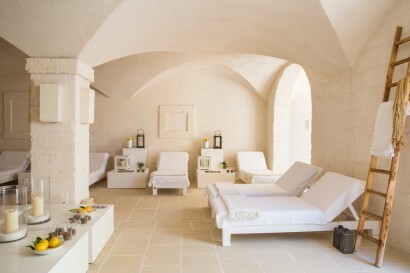 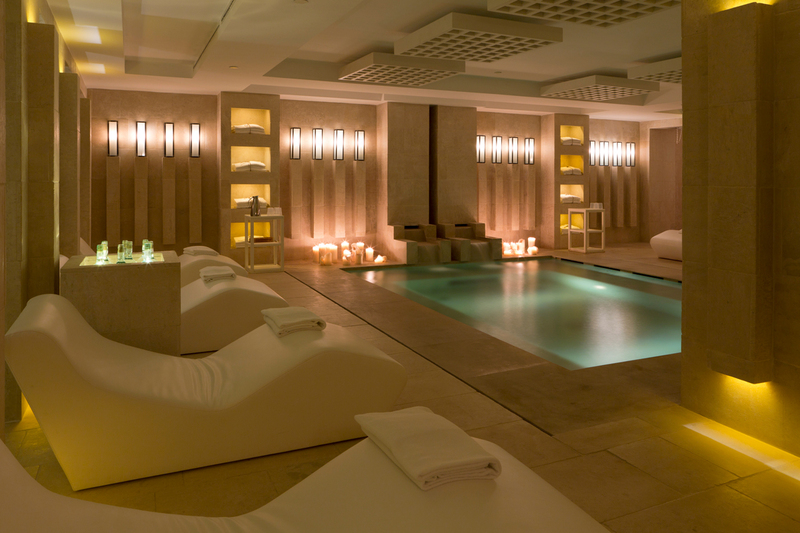 Recently awarded as World’s Best Wellness Spa at Boutique Hotel Awards, Vair (the Apulian word for “true”) is a 2,000 m2 “spiritual” Spa leveraging a human being’s own resources and inner beauty to promote happiness. Local ancient healing therapies are integrated in Vair’s very unique programs, the very heart and engine of our Spa’s vision, comprising treatments and “life-changing experiences” that have been specifically designed for Vair and are based on all-natural products (fresh and from our region). The 10 meeting rooms are extremely functional and equipped for all types of events, with highly professional secretarial services and high-speed wireless connection. 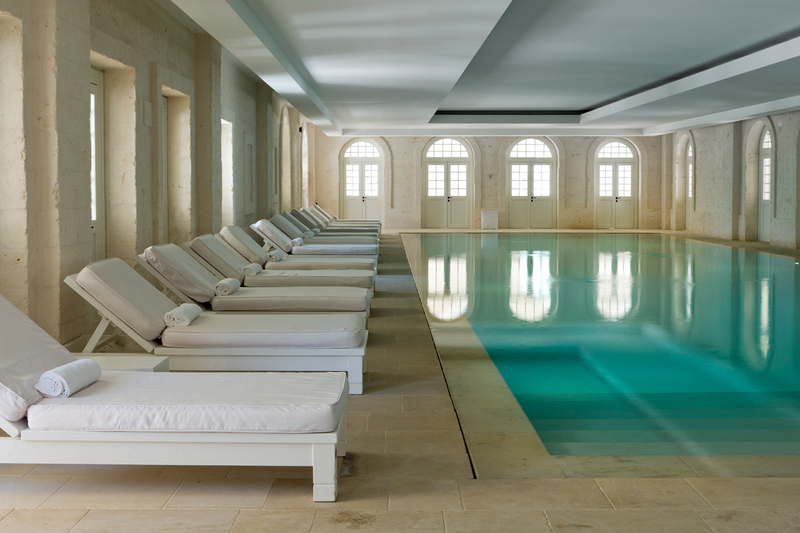 Capacity: 10 to 300 people 3800 square meters of available space (1200 square meters of indoor space and 2600 square meters of outdoor space) Business center open 24/7 with laptops and secretarial services upon request.